A waterfront view can add a touch of tranquility and feeling of relaxation to any meeting agenda plus lots of water activities for attendees to enjoy after the work is done. 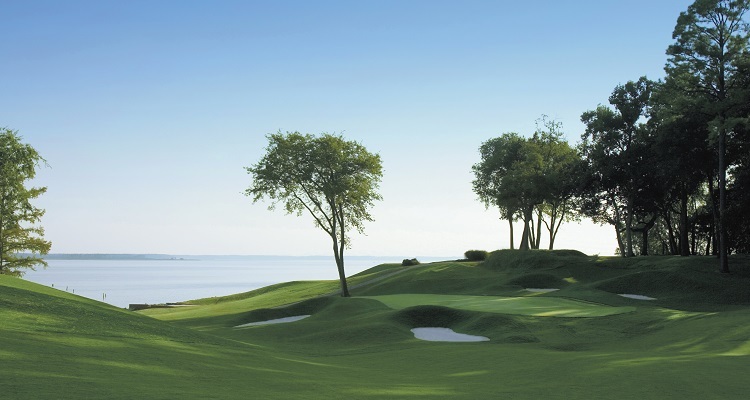 Spectacular views of the Atlantic Ocean, James River, Chesapeake Bay and numerous lakes is just one of the many reasons why Virginia is the meeting destination for your next meeting or event. With a diverse array of venues and amenities, the newly renovated and re-imagined Waterside District offers incredible flexibility for private events of any size or budget for up to 6,000 guests. From corporate groups to meetings and banquets, Waterside District is the perfect place to host your signature event. Read more. 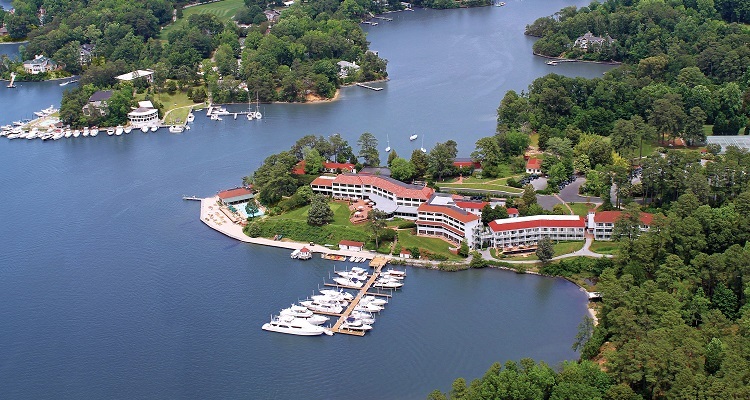 Nestled in the heart of beautiful Smith Mountain Lake, the Resort offers a variety of amenities from state-of-the art A/V to golf and spa services, allowing you to incorporate some fun into your business. Complete meeting packages available to fit any size event and budget. Read more. 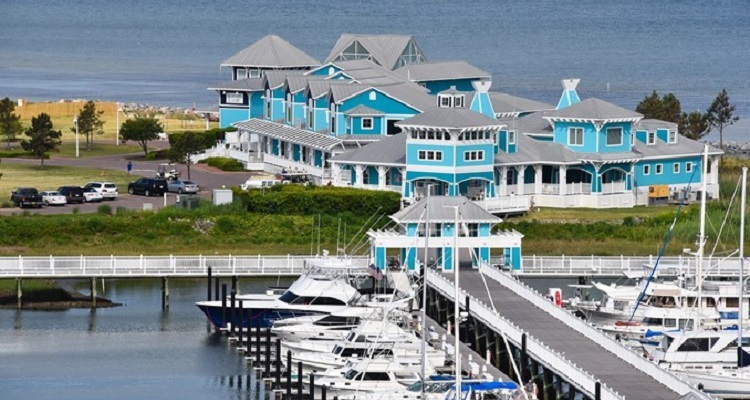 This unique waterfront venue on the Chesapeake Bay boasts large and small meeting and retreat space, in house food and beverage catering, break out spaces and overnight accommodations on property and within five miles. Activities such as fishing, kayaking, winery tours, historical tours and more can be arranged. Read more. Nestled on the banks of the Potomac River, Hotel Indigo Old Town Alexandria is a charming enclave of colonial treasures and historic waterfront architecture. Take in views of the river from the guest rooms or from the restaurant overlooking the water. Two traditional meeting space options are available and can seat up to 40. A patio overlooking the river can also accommodate special events and receptions. Read more. 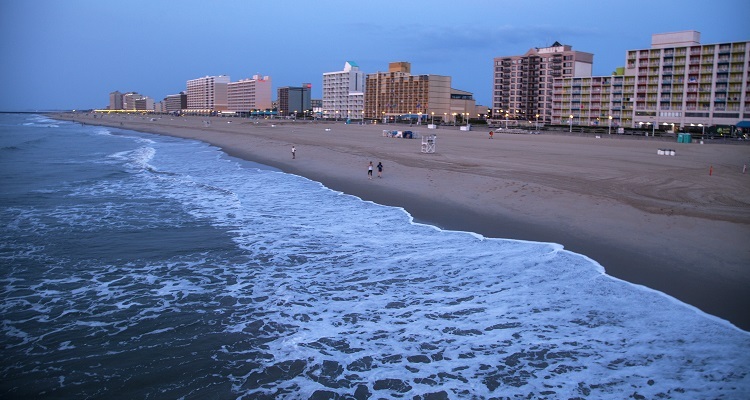 Spectacular views of the Virginia Beach oceanfront, exceptional catering services with a variety of customized menu options and over 13,000 square feet of flexible meeting space makes the Sheraton Virginia Beach Oceanfront Hotel a great venue for meetings from 20 to 400. Outdoor and indoor heated pools and a complimentary 24-hour fitness facility are also available. Read more. 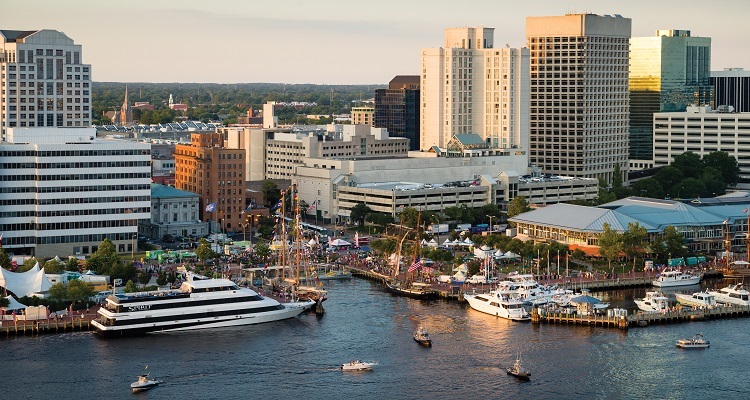 The Half Moone Cruise and Celebration Center is an 80,000 square-foot terminal offering planners and attendees over 33,000 square feet of meeting and event space, as well as a large 13,000 square foot terrace overlooking the Elizabeth River. Located alongside Nauticus and the Battleship Wisconsin, this venue not only offers a beautiful waterside view, but also a great meeting and special event location for watching fireworks displays or taking harbor cruises. Read more. Located on 2,900 acres along the historic James River in Williamsburg, Kingsmill offers award-winning meeting and banquet facilities to accommodate groups from 10 to 350 and offers more than 16,000 square feet of meeting space encompassing sixteen meeting rooms. The resort boasts 425 luxurious guestrooms and suites, 36 holes of top-rated golf, a spa, multiple restaurants & lounges, fitness center & marina. Read more. The Water’s Edge Meeting Facility offers a beautiful setting for reunions, meetings and other special events. The meeting room overlooks the lake and has a scenic view from the water’s edge. It can accommodate up to 125 people. Audiovisual equipment can be rented. Claytor Lake offers fishing, swimming, hiking and camping for a memorable outdoor experience. Available for rent are three lodges, 13 cabins and 110 campsites. Read more. Surrounded by the splendor of the Chesapeake Bay, the Tides Inn offers groups a variety of meeting space equaling 8,980 square feet in a spectacular setting. With both indoor and outdoor spaces graced by waterside views and beautiful, spacious lawns, this is an ideal site for your meeting, executive retreat or teambuilding event. Read more.